The fourth Hybrid album â€˜Disappear Hereâ€™ was released in March 2010. After reaching number 1 and number 2 in the US/UK and Canadian ITunes electronic charts and two extremely well received singles we thought it may be time for re-visitation. Now available for a limited time the â€˜Widescreen Editionâ€™ of the album adds a second CD and a whole hour of new Hybrid creations. The new CD consists of ten new compositions / mixes. These new versions aim to envelope the listener more than ever within a widescreen listening cloak. It is most definitely the music that accompanies and provides the backdrop for the biggest of cinematic screens. As the opening track for the album, 'Empire' meets Healingsâ€™ statement of intent for the album. Its pounding live drums and moody, tense atmospherics set the scene and gradually layers of electric guitars and sweeping strings performed by the City of Prague Philharmonic Orchestra build up. 'Can You Hear Me' is a shining moment combining the vocals of Charlotte and Tim Hutton (who also plays bass for Ian Brown and The Prodigy) whilst 'Green Shell Suit' is a swirling chill out reprise. 'Every Word' brings a warm, organic feel with the combination of a haunting slide guitar, a warm arpeggiated acoustic and a brace of wonky but playful sound design. Album title track 'Disappear Here' mixes a powerful piano driven song over the crunching Hybrid production and the stadium electronica of 'The Formula of Fear' presents one of the albumâ€™s most intense peaks. Venturing further on, 'Salt' is encrusted with warped bass lines and brush drums. 'Original Sin' is a soundscape house music monster,'Take A Fall' features a rock-breaks edge with Tim Hutton grabbing hold of the mic and the album closes out with the divine 'Numb'. Hybrid presents the albumâ€™s touchstone and first single 'Break My Soul'. Itâ€™s all cinematic from the triumphant chorus and 'Day in The Life' strings to the haunting breakdown and filmic overtones. Since first bursting onto the scene with the now classic album 'Wide Angle' in 1999, the Swansea, Wales-based Hybrid have been known as one of the most forward thinking and technically skilled acts in electronic dance music. Blurring the line between in-studio production and live presentation, Hybrid are one of the few remaining dance acts to perform live with a classic band setup. 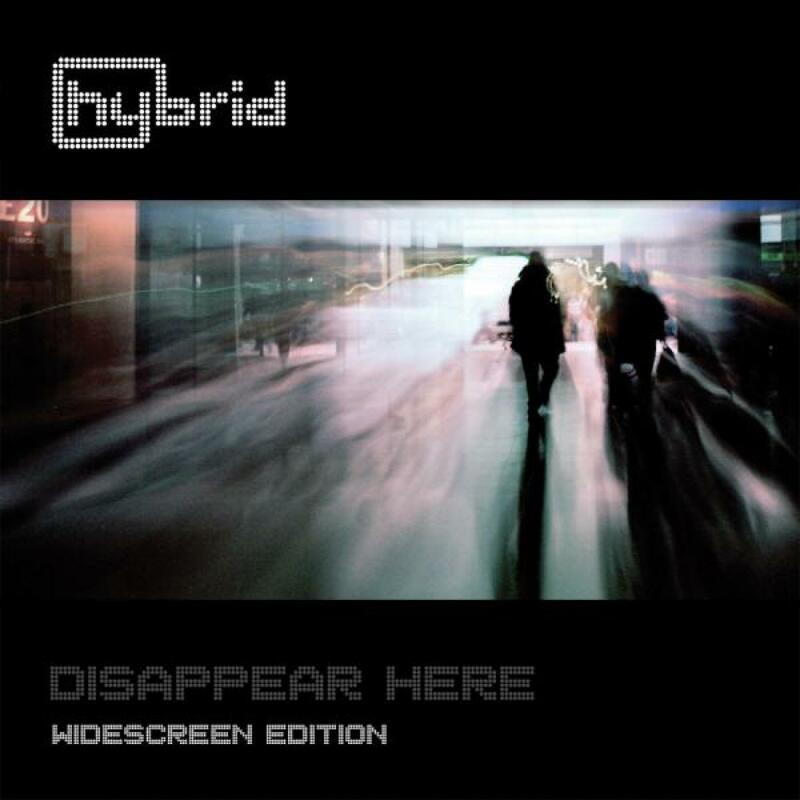 However, much has changed on the road to Hybridâ€™s fourth artist album â€˜Disappear Hereâ€™. Most notable is the addition of Hybridâ€™s newest member â€“ singer/ songwriter Charlotte James â€“ to go along with founders Chris Healings and Mike Truman. Charlotteâ€™s impact is marked as â€˜Disappear Hereâ€™ is truly an album of real songs and not merely dance beats with vocals on top. It offers a lot more than anything Hybrid has ever previously written and pushes boundaries in every way. One constant thatâ€™s remained with Hybrid since its inception is the advanced way in which Healings and Truman create music. In an era of laptop production, Hybrid are notable in their use of top analogue gear and full orchestras on their recordings. When the computer does come into play itâ€™s typically complicated sound design software like Native Instruments Reaktor and Symbolic Soundâ€™s Kyma X thatâ€™s used to create unique stylized sounds. This skill opened up an entire new world for Hybrid in the area of music production for television and feature films. A frequent collaborator with major film composer, Harry Gregson-Williams, Hybrid has music production credits in major blockbuster films including â€˜The Taking of Pelham 123â€™, â€˜Wolverine X Men Originsâ€™, â€˜The Chronicles Of Narnia â€“ Prince Caspianâ€™, â€˜DÃ©jÃ vuâ€™, â€˜Dominoâ€™ and â€˜Man on Fireâ€™. Hybrid have also composed the entire score for films including â€˜Catacombsâ€™ (2007) and â€˜Exit To Babylonâ€™ (coming in 2011).